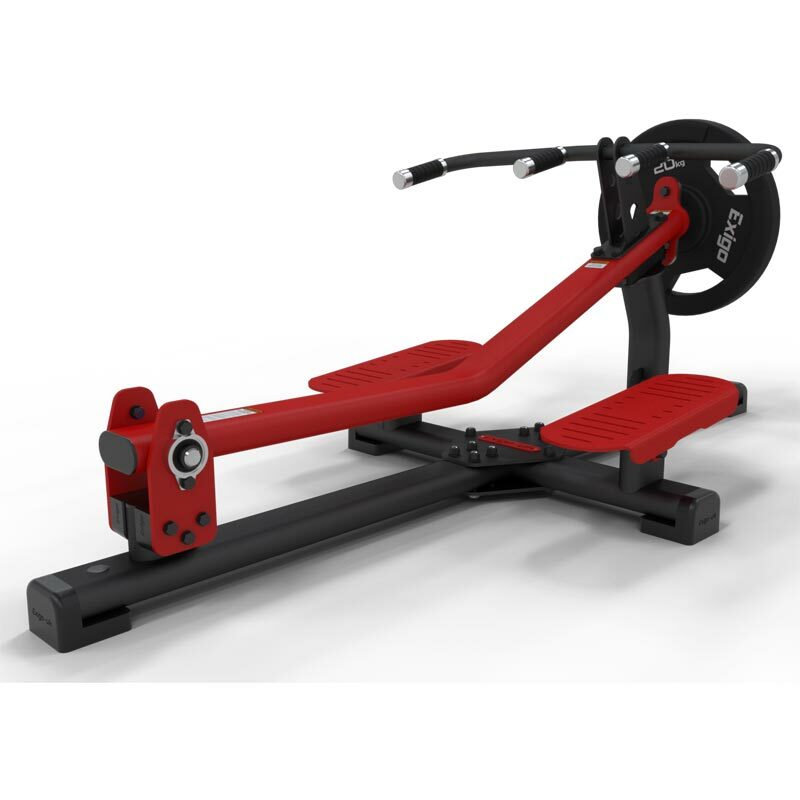 The Exigo Standing T-Bar Row, similarly as with the T bar row with chest support, offers effective movement that targets the upper back and latissimus regions while also working the shoulders and biceps. Features large anti-slip foot plates for increased grip and stability. Anti slip footplates allows safe foot positioning as well as variable placement. Variable grip positions based on our ergonomic comfort grip handles provided with silicone super grip covered 32mm with caped anodised aluminium ends. Integrated, custom moulded tube feet provide for a stable non slip frame while at the same time preventing floor marking.